True anothers trash is anothers treasure. I always tell my wife or her to tell her father to grab any LCD/Plasma TV’s/PC monitors or Stereos and PC sometimes depends on type before I even bother with it. I take them and repair them then sell them. Majority of the time it costs me $2-$5 to repair a TV or monitor. Last television I worked on was a 32″ Plasma only cost me an hours work and $4 in capacitors to repair it actually last TV was a 58″ HDTV Projector tossed because it lost it’s brightness what most don’t know is Projector TV’s require yearly maintenance which is cleaning the tubes and mirrors & back screen only takes 2 hours work and restores Picture quality & brightness. 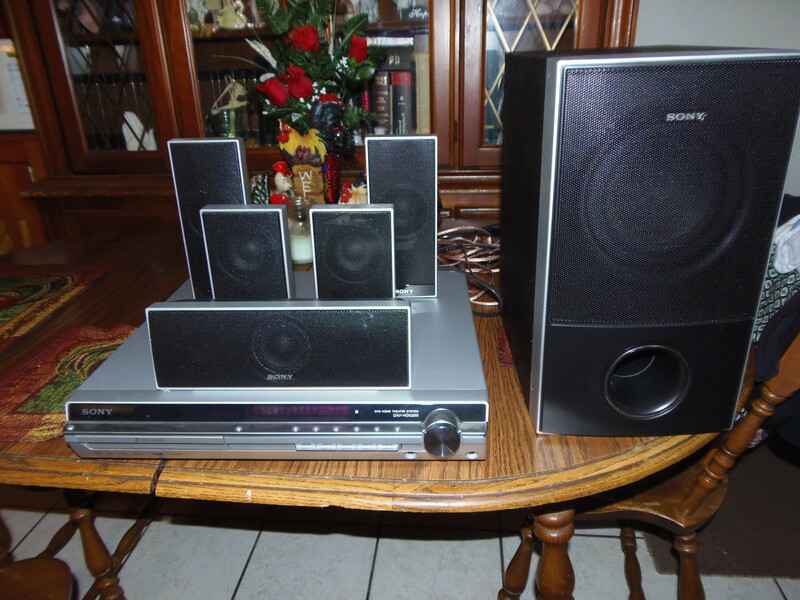 Last night my wife was helping her friend throw Sunday papers and she found a full 5.1, 5-Disc DVD Player w/ Surround Speakers. Figured would cost me a few $$ to repair popped it on only thing it needs is speaker wires. They are custom connections for them but I know how to fix that tested all channels are working and plays DVD’s no problem even burnt DVD’s. It’s true another persons trash can be another person treasure:-) Like even better when only requires me to sell it and not dump any cash or time into it. 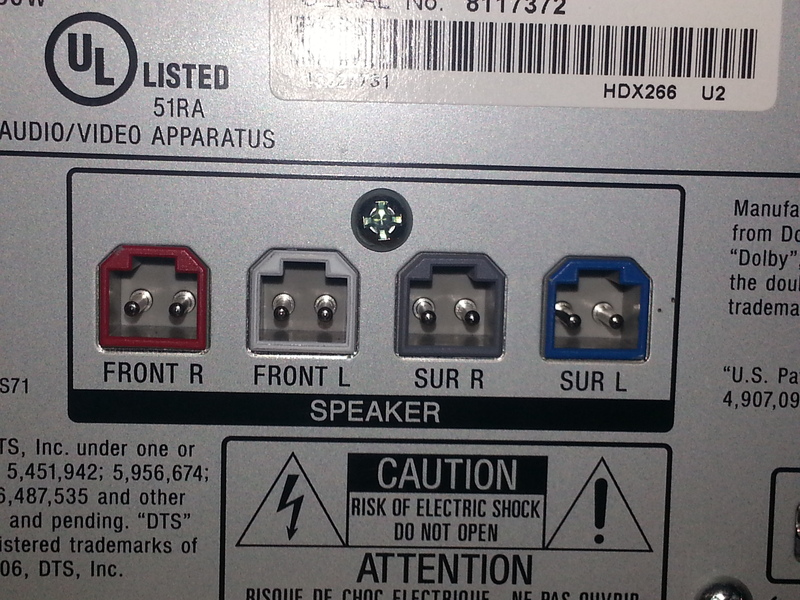 It isn’t top of the line it’s a Home Theater in the box surround system. And since it is a box set they always require custom fitted wire ends. This was no exception every speaker requires a customized plug in. There’s a way to fix without paying $25 a wire. I’ve verified all channels work so now just have to get the parts to make custom ends for the receiver.